Mayor proposes half cent fix-all tax hike during her State of the City address. 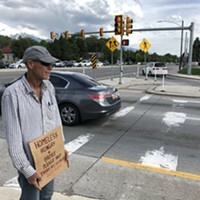 For all of Salt Lake City’s bright spots, successes and highlights, it’s a growing city that’s reckoning with a housing crunch, crumbling roads and increased public transit needs—solutions of which aren’t cheap. Cue the proposed tax increase. 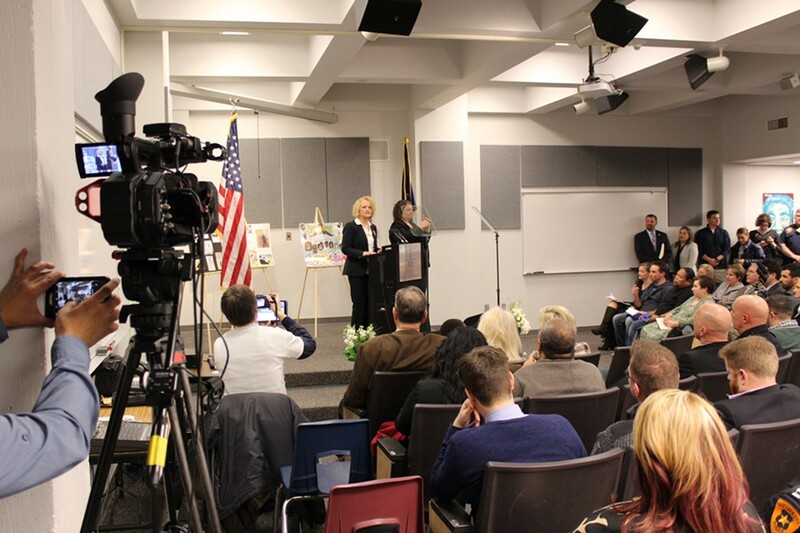 During her State of the City address on Wednesday evening, Mayor Jackie Biskupski announced a proposed .5-cent local sales tax increase—an option made available by state lawmakers in 2015. This uptick in local sales tax would generate an estimated $35 million annually. The mayor listed ways the money could be spent: investing in housing programs and incentivizing units for all income levels, putting money toward programs that encourage home ownership, and beefing up local transit. “This opportunity has the power to quickly change people’s lives,” she said. 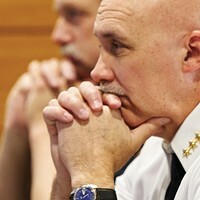 Biskupski said she and the city council will launch an outreach campaign in the coming weeks to gauge public interest. But the .5-cent bump in sales tax isn’t the only source of revenue the city is considering. Biskupski touted a “rare opportunity” bond for $87 million, a move that would have to be approved by voters. Biskupski, who is midway through her first mayoral term, noted that the city has plans that address clean energy, transit and housing. 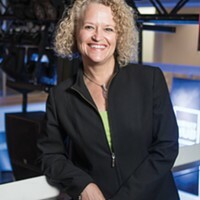 Spotlighting Salt Lake City’s growth, Biskupski credited her office of economic development. “The dozens of companies our team has attracted or expanded in this city has resulted in nearly a billion dollars in capital investment,” she said. 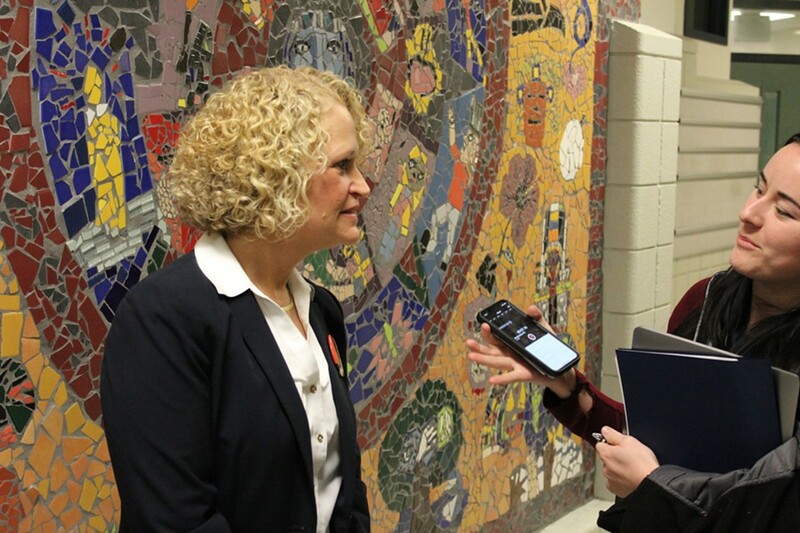 Biskupski also discussed what has been a contested touchstone during her tenure: homelessness. By June of next year, The Road Home Shelter downtown will be shuttered and two smaller resource centers are to be built within the city. 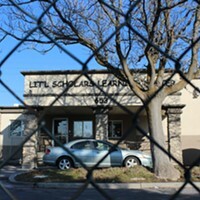 A third shelter is slated to go up in South Salt Lake. Some have worried, however, that low capacity numbers at these shelters will leave many homeless folks on the streets at night. Elected officials argue an emphasis on affordable housing will offset the discrepancy. “For me, right now, it is also about ensuring that those whose lives will be transformed at the new homeless resource centers can find a home. Because without housing, there can be no end to homelessness,” Biskupski declared. The mayor kicked off her speech thanking family, staff and the community and highlighting the work done at the Horizonte Instruction and Training Center, which hosted the event. 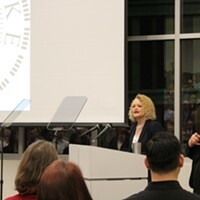 Biskupski was introduced by Joshua Bell, Horizonte principal, who announced the launch of a fundraiser for a heritage library designed to help non-English speakers in their native languages. One man’s death has activists questioning gains in law enforcement policy. Discontent over Sugar House homeless resource facility continues to brew. Biskupski delivers State of the City Address. Milestones, missteps line the mayor's first 366 days in office.